Tan Twan Eng had only written two books but both have been Man Booker Prize contenders. His 2007 debut, The Gift of Rain, was longlisted for the 2007 Prize. 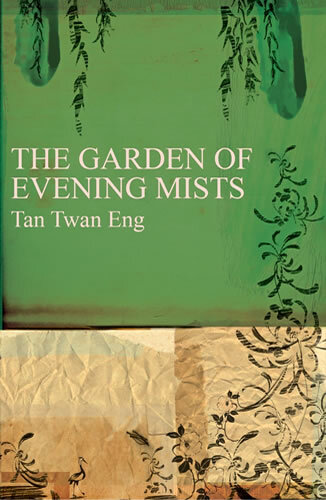 The Garden of Evening Mists, his second book, did even better being shortlisted for the 2012 Prize. With this track record, he could become a very collectable author, which makes even this third printing of The Garden of Evening Mists a worthwhile buy at its cover price. Malaya, 1949. After studying law at Cambridge and time spent helping to prosecute Japanese war criminals, Yun Ling Teoh, herself the scarred lone survivor of a brutal Japanese wartime camp, seeks solace among the jungle fringed plantations of Northern Malaya where she grew up as a child. There she discovers Yugiri, the only Japanese garden in Malaya, and its owner and creator, the enigmatic Aritomo, exiled former gardener of the Emperor of Japan. Despite her hatred of the Japanese, Yun Ling seeks to engage Aritomo to create a garden in Kuala Lumpur, in memory of her sister who died in the camp. Aritomo refuses, but agrees to accept Yun Ling as his apprentice “until the monsoon comes.” Then she can design a garden for herself. As the months pass, Yun Ling finds herself intimately drawn to her sensei and his art while, outside the garden, the threat of murder and kidnapping from the guerrillas of the jungle hinterland increases with each passing day. But the Garden of Evening Mists is also a place of mystery. Who is Aritomo and how did he come to leave Japan? Why is it that Yun Ling’s friend and host Magnus Praetorius, seems to be almost immune from the depredations of the Communists? What is the legend of ‘Yamashita's Gold’ and does it have any basis in fact? And is the real story of how Yun Ling managed to survive the war perhaps the darkest secret of all? 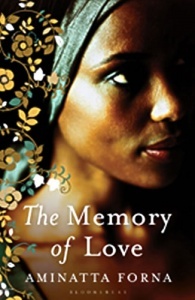 Awards and prizes : Shortlisted for the 2012 Man Booker prize. For more information, you might like to visit Tan Twan Eng’s website. This is a rich source of info on his life, books and future projects.